HSC Tech HELP Online: I have changed from Google Docs to Google Drive but my menus is still the same. How do I fix this? 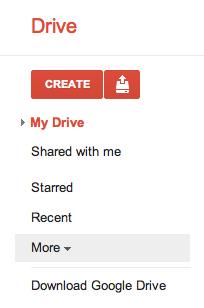 I have changed from Google Docs to Google Drive but my menus is still the same. How do I fix this? 2. 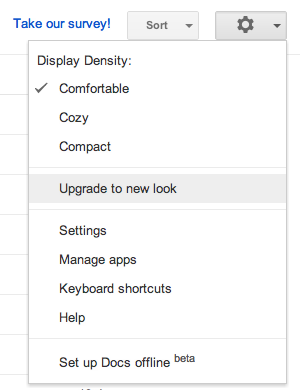 From the new menu choose "Upgrade to the new look"